Join us at the Digital TV CEE conference in Budapest, we will gladly tell you more about our OTT & HbbTV solutions and products that help video content owners and TV broadcasters around the world. 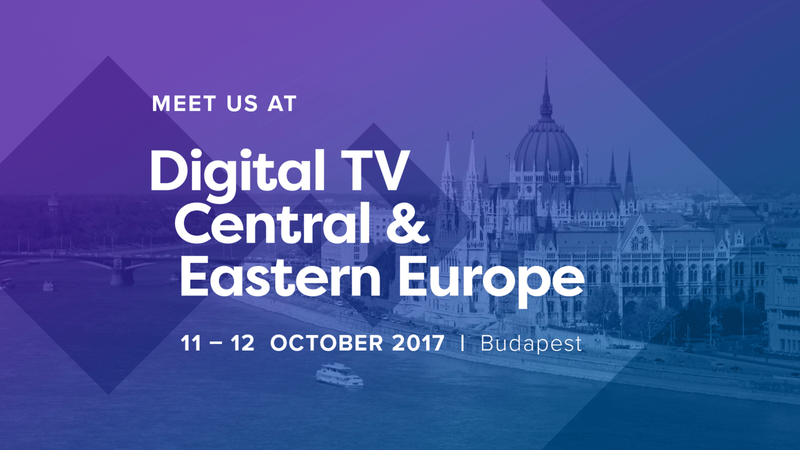 Digital TV Central & Eastern Europe is the only event in the region that encompasses the full value chain of TV delivery. The event is regularly attended by more than 40 speakers and 250 visitors, from which more than three quarters represents senior level managers. If you would like to meet us at Digital TV CEE, talk about partnership or get to know why we prepare the best possible OTT front-end solutions and help our clients to make the perfect use of the HbbTV platform, just let us know.